The type 222 and type 224 case erectors have a number of unique features that combine to make it extremely efficient, reliable and versatile while handling a wide variety of case sizes and styles. 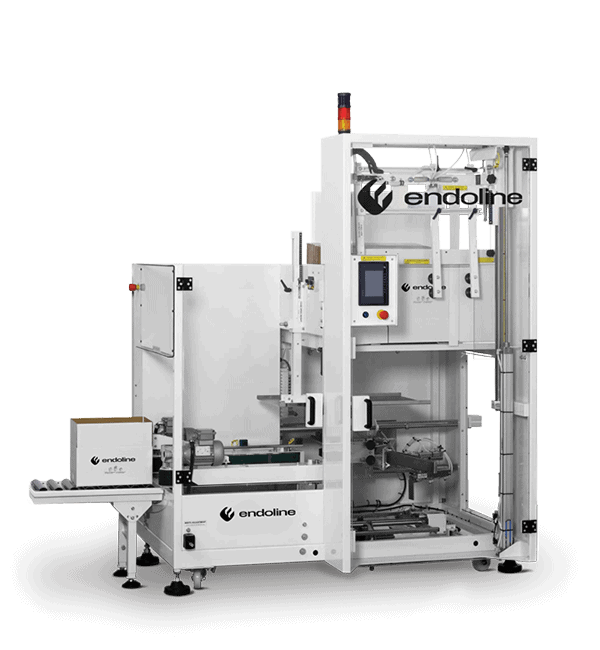 These machines use a unique dual opposing vacuum feature to erect the cases and seal on the base with self-adhesive tape (222) or hot melt glue (224). The 222/224 is designed with high quality in mind and is extremely simple to operate and maintain to offer an excellent return on investment and low cost of ownership. The standard type 222/224 machines can handle cases between 200-600mm length, 200-500m width and 175-600mm height. Up to 12 cases per minute as standard with a high speed option of up to 14 cases per minute. The type 221 and type 223 fully automatic case erecting machines are designed to handle average sized cases in a wide variety of styles. The machines seal with either self-adhesive tape (221) or hot melt glue (223) and are extremely simple to use. They are versatile, reliable and efficient. They also have a small footprint and offer great value for money.